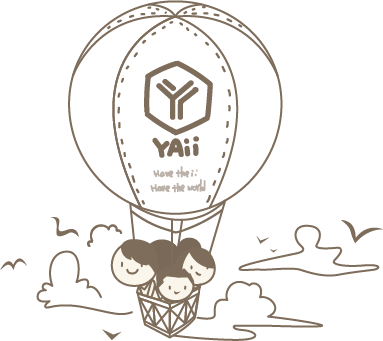 Yaii Visual Design was established in the end of 2013. We develop by upholding the enthusiasm of design, as well as the insistence of visuals and artistics. Starting from Changhua, where are our foundation was laid, includes trademark design, brand planning, catalog design, web design, shopping cart system, WebERP ... and other fields. We gathered a team that is composed of adventurous and imaginative people in 2016 and moved to Taichung. Near the famous Maple Garden Park, we not only continued with the past technology and traditions, but break stereotypes to add new things; design, packaging design, network security, information security optimization, SEO optimization, commercial photography, stationery card designs and more. We develop a type of business which is different from the previous, making the team and our company grow with each other. Just as the expectations placed when we just started, we will always step lightly in pace, dancing gracefully in the palace of art. 2013 - 2019 © 雅藝設計 x 楚文化 │ All Rights Reserved.